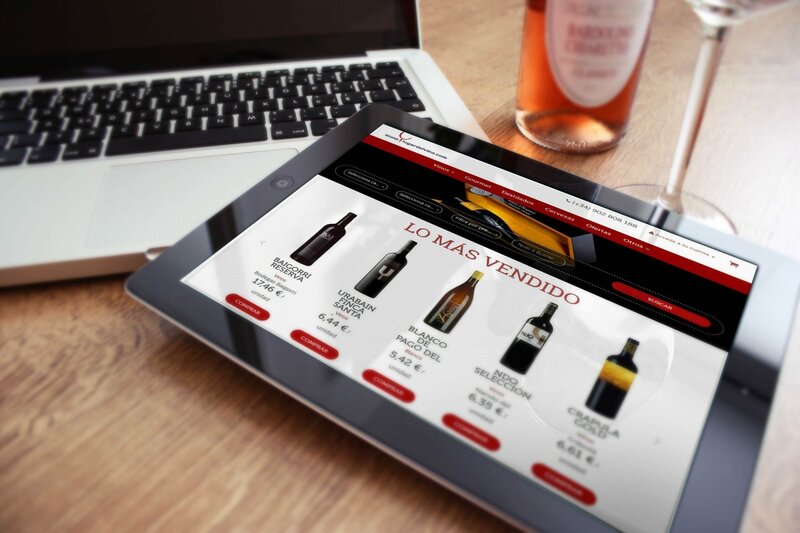 Full e-commerce development for Lugar del Vino, a franchise specialized in the sale of wines and gourmet products. 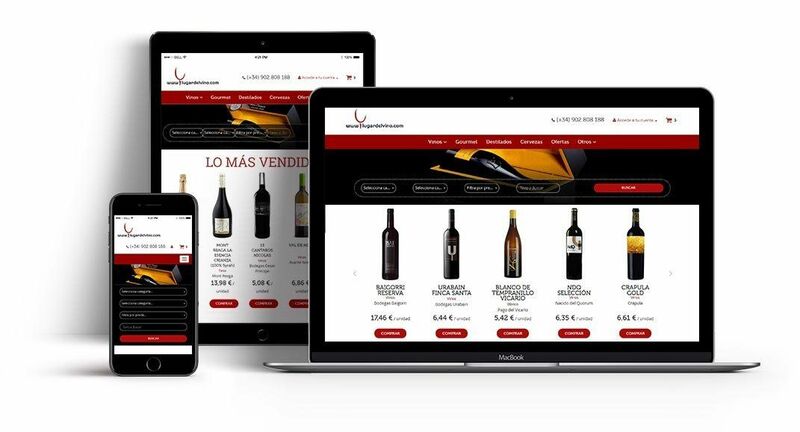 Thanks to Tsunami CMS Ecommerce, Ladeus has given a solution to integrate all the wine franchises into a single management platform for the sale of its products online. 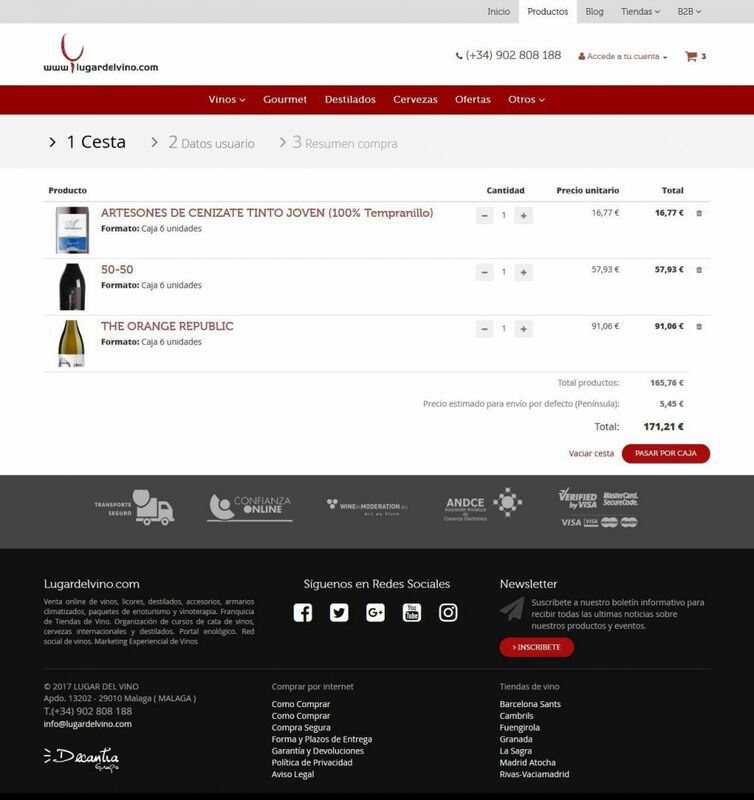 The multi-store management of Tsunami, allows to manage the stock of the store through various warehouses. It has also been implemented multi-carrier system to provide delivery solutions to the diversity of products from the Lugar Del Vino catalog. 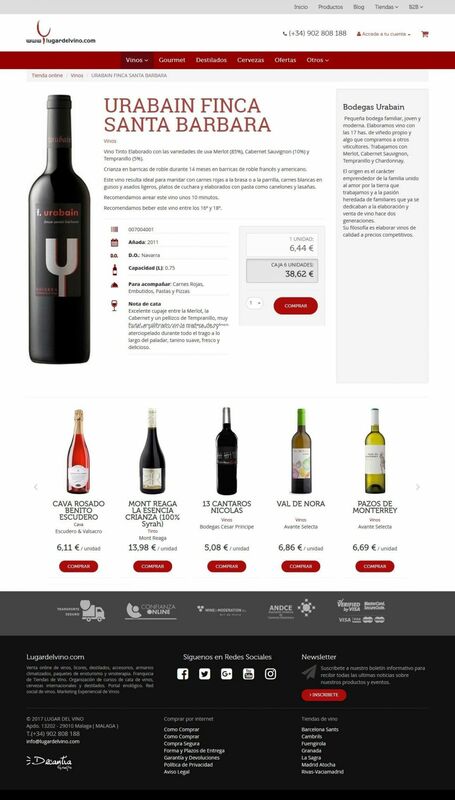 The management of the great variety of formats in which these products are available, has also been resolved with the potential of Tsunami, which allows stock control of single units and different packs. In addition to the internal e-commerce management, Tsunami provides channel manager integrations for third-party market places, to make the Tsunami Ecommerce CMS the only management panel you'll need for managing online sales.